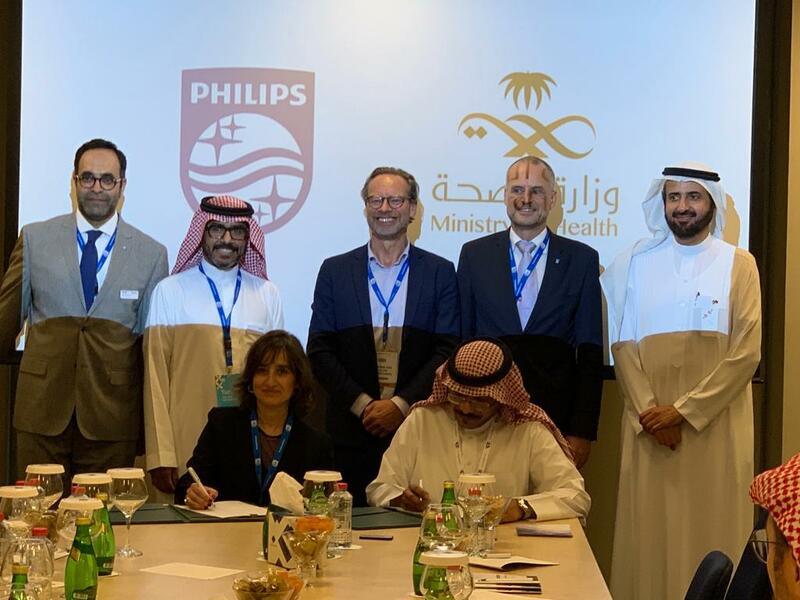 Royal Philips (NYSE: PHG, AEX: PHIA), a global leader in health technology, and the Ministry of Health of the Kingdom of Saudi Arabia, announced a collaboration on the Heart Safe City project to increase survival rates from sudden cardiac arrest. The program will be tested in the city of Mecca utilizing the expertise Philips. The program will leverage a unique end-to-end solution combining education programs to increase awareness of CPR, the use of publicly-available AEDs (Automated External Defibrillator), and new technologies to strengthen the ‘chain of survival’ from the moment an incident occurs to the patient reaching the hospital. Cardiovascular disease is a leading cause of global mortality, accounting for almost 17 million deaths annually – 44% of all known-communicable disease deaths globally . In the Kingdom, that percentage is 37% according to the WHO statistics . It is estimated that about 40-50% of all cardiovascular deaths are due to sudden cardiac arrest . The average age for developing heart disease in the Kingdom is 56, 10 years younger than the global average . It is estimated that 70 to 80 percent of sudden cardiac arrest incidents happen outside the hospital . For every minute that passes without CPR and defibrillation, an SCA victim’s chance of survival decreases by 7 to 10 percent . These cardiac arrests can happen anywhere, at any time. With bystander intervention and treatment with an AED, the survival triples to 31.4 percent . The chain of survival has four critical steps: 1) alerting emergency medical services; 2) giving CPR to the patient; 3) delivering treatment using an AED; and 4) advanced critical life support, provided by the emergency medical services. Training and awareness programs increase the likelihood of a lay first responder being on-hand to provide CPR and treatment using an AED. In addition to the AEDs themselves, technology applications including mapping AEDs and automated alerting of nearby lay first responders have the potential to significantly strengthen the chain of survival and increase survival rates.